Good day to all the pretty and fashionable ladies out there! I bet that you have a huge collection of makeup that keeps growing. We see new products, we fall in love with them and they become part of our collection. On the other hand, this means spending lots of money. So instead of constantly buying new makeup, why don’t you try to fix the ones that you already have? Surprisingly, you can easily fix the products that seem useless. This means that you can reunite with your once beauty favorites and save some money. Does this sounds interesting to you? 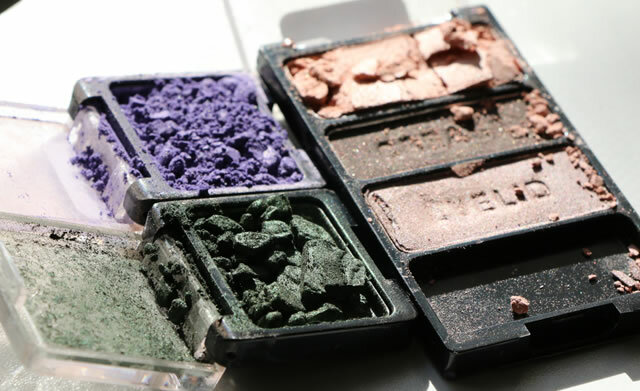 Read on and find out how to Fix Powder Makeup! We all have suffered this one. 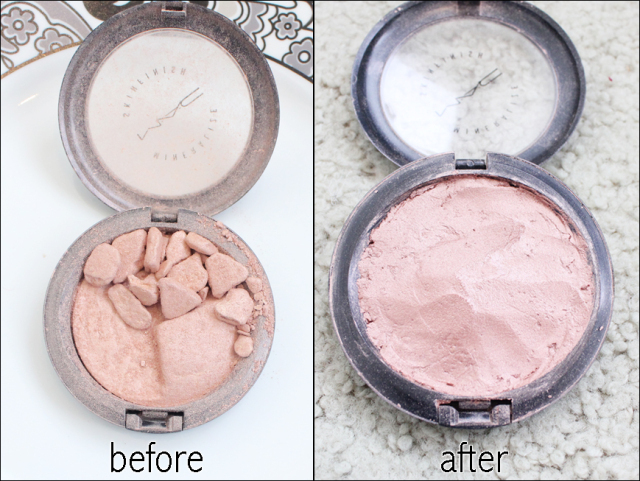 You have finally found the perfect compact powder that suits your skin very well, and suddenly you drop it on the floor. At the same time, you pray that a miracle happens and your powder is intact. 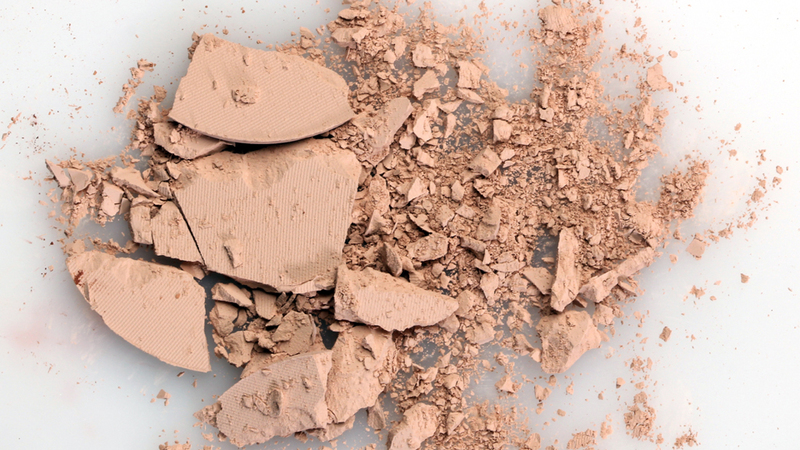 When you open it, a cloud of dust accompanies the particles that once were a compact powder. And you know that you spent your money to get a nice powder, that now looks pretty useless. Do not worry, as your pretty powder can be saved. Rubbing alcohol is your lifesaver. 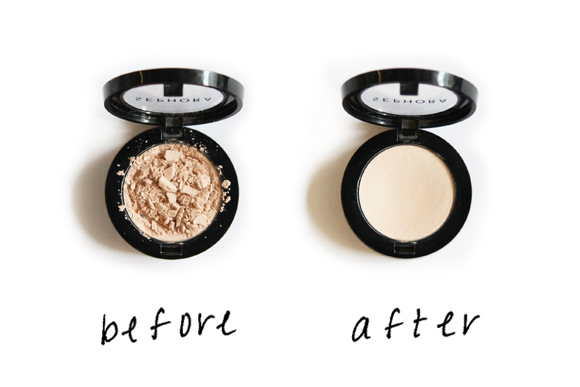 All you need to do is to add a few drops until your powder has creamy texture. Add plastic wrapping foil over and flatten the surface using a smooth object. Remove the foil, leave it open and let it dry overnight. When you wake up in the morning, it will look like it was never broken before. 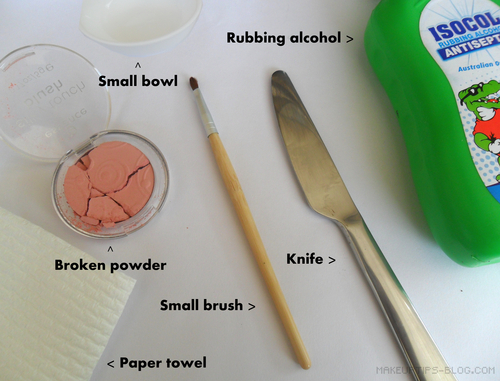 Try it and Fix Powder Makeup! You can do this also with bronzer, blush , eye shadow and any other product. Your bronzer seemed to work well for a while. And now when you apply it with a brush, there is no trace. And you immediately blame the bad product for taking your money. Before you do it, let me explain you one common problem where actually the blame is ours. But, how can I be responsible for this? Simply, powder products can develop a hard film on top. This is consisted of skin oils and other face products such as foundation, that create a film that won’t let you get to the product. The solution? If you want to fix powder makeup use tape to stick the top layer. Place tape,rub gently and remove. 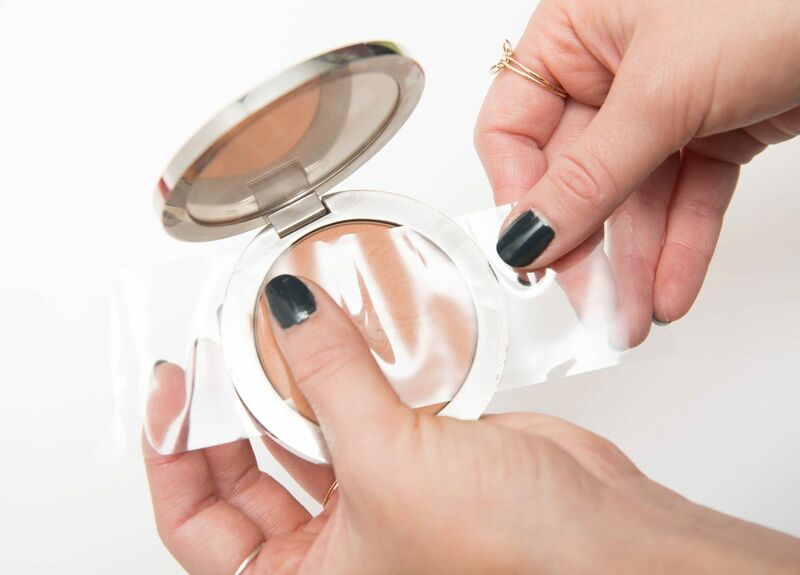 Your bronzer is now as good as new. Remember to wash your brushes often, so the skin oil and foundation won’t be able to create a hard film ever again.